* Climate Comfort Package – Top of the line features to get you on the road quickly on those cold winter mornings including heated Ebony grained-leather front/rear seats, heated windshield, heated steering wheel, and cooled front seats for summer months. * Driver Assist Plus Package – World class safety features including InControl Touch Navigation system, traffic sign recognition, automatic emergency braking, and convenient Lane-Keep Assist with driver condition monitor. * Premium Interior Protection and Storage Pack – Keep your Land Rover interior in perfect condition with rubber floor mats, loadspace mat, handy cargo carrier, and cargo net. * Premium Wheel Protection Pack featuring chrome wheel locks and more! Now is the time to “discover” the 2019 Land Rover Discovery Sport HSE! 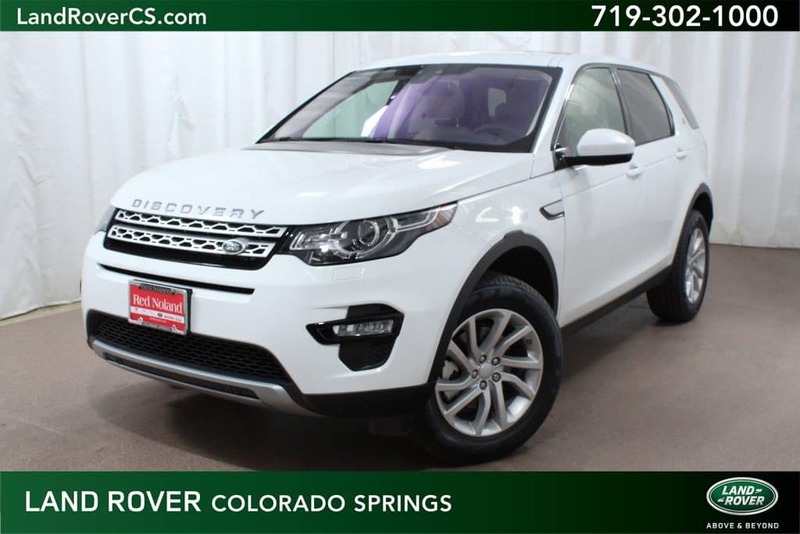 Stop in to Land Rover Colorado Springs to experience this stunning new Land Rover!